The 2nd generation Exolight™ builds upon the world-renowned, groundbreaking technology of the original Exolight Series. Our new molded Lumiform diffuser provides a dramatic increase in uniformity, coverage area, and resistance to impact. With a 120° spread of uniform lighting, the EXO2 is perfect for even the most sensitive area scan application and its high level of diffusion makes it a great candidate for transmission or backlight applications; even for line scan. Hard molding makes the diffuser extremely durable to impact and can be configured for an IP rating with greater water and dust resistance. The Metaphase Exolight™ is the most efficient and economical LED replacement technology available for the fluorescent tube. The Metaphase Exolight™ is best applied where a highly intense, yet widely diffused light beam is required. Metaphase’s own patent-pending isotropic plastic micro-lens diffusers shape the isotropic illumination unique to the ExoLight™. Isotropic lensing produces extremely even illumination and minimizes specular reflection (hot spots/glare) inherent with LEDs. 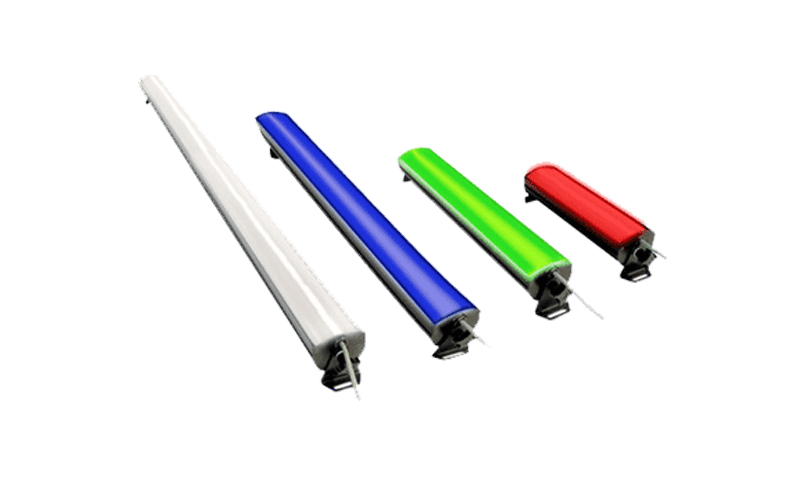 The Exolight™ is "tube-like"in form and mimics the softly diffused output of fluorescent fixtures like no other ordinarily diffused LED fixture can.